Kajama featured Psychic of the week is Dominique. 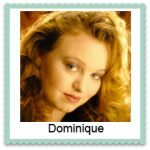 Dominique specializes in astrology, tarot, and intuition in her readings. She is committed to expanding your well-being and clarity, with spirit’s help. Increase your happiness, joy, authenticity, prosperity, success, expansion, and well-being with Dominique's insight and guidance. 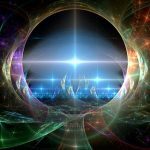 Schedule a reading, check out her free meditations and sign up for her monthly newsletter at IntuitiveMoon.com. Congratulations to Betty P., Kajama's August winner of a free Psychic Reading! It's easy to win! Simply join our mailing list and you'll be entered in our monthly drawing for a reading with one of Kajama's gifted Psychics. For your chance to win, just sign up here!